Elegant metal signs and letters can cost you and your client a bundle. Now there is a lightweight, less expensive, easily crafted alternative. 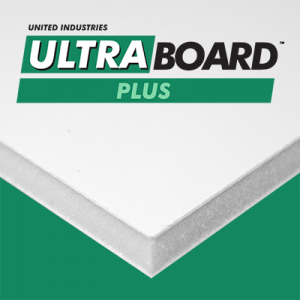 UltraBoard Aluminum delivers the same impact and appeal as metal, but in a durable, versatile foam-centered product. 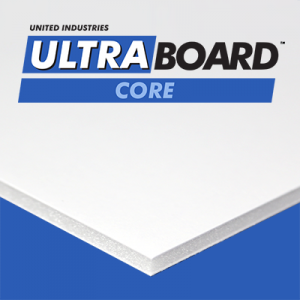 UltraBoard Aluminum is a lightweight structural panel consisting of a rigid polystyrene foam core faced on one side with anodized aluminum and one side with litho grade high impact polystyrene. The foam and facers are permanently bonded together. The anodized aluminum panel can be used to create decorative letters and logos at a fraction of the cost of solid metal letters. 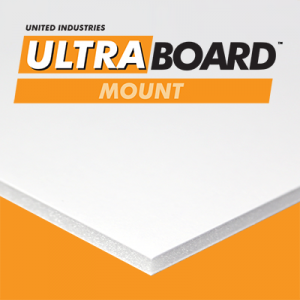 UltraBoard Aluminum is the ideal material for decorative letters and logos often seen in hotels, banks and office buildings. It can be sawed or routed, and is easier to craft than solid metal. It even maintains its appearance better — the surface is anodized aluminum, which will not rust, fade or tarnish. The back side is high-impact polystyrene. For metal lettering and logos, UltraBoard Aluminum gold and chrome are the obvious choice and can be used in place of other sign materials. 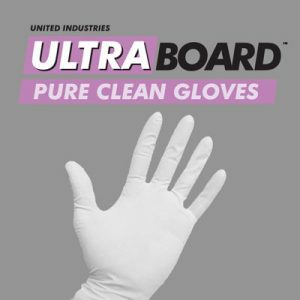 UltraBoard Aluminum comes in four finishes — polished gold, brushed gold, polished chrome, and brushed chrome. 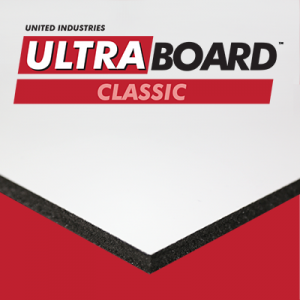 Choose from black core, thicknesses from 3/16″ to 3,” and 48″ x 96″ sheets or custom-cut sizes. Two-sided aluminum panels are also available. 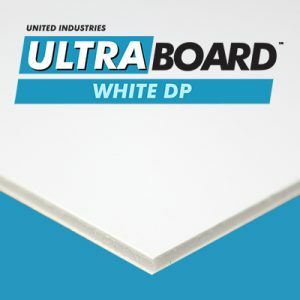 UltraBoard Aluminum panels have 0.016″ anodized aluminum facers. Anodized facers available are brushed gold, polished gold, brushed chrome and polished chrome. The facers have peel coat release liners to protect against scratching. 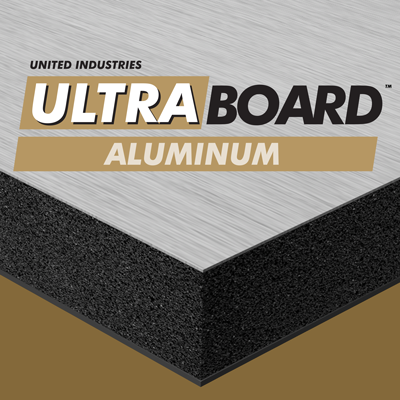 UltraBoard Aluminum panels are available either trimmed or untrimmed.